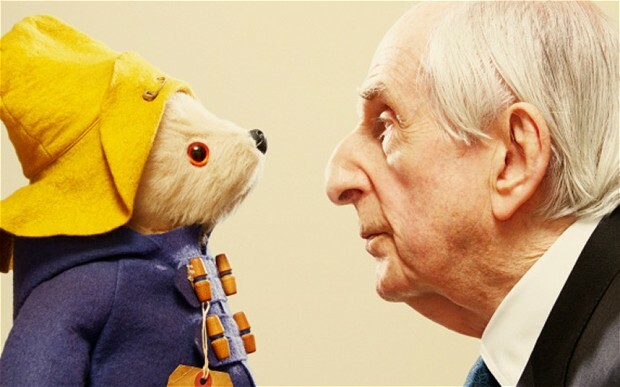 Paddington Bear is returning in a new book after the 88-year-old author Michael Bond decided to give him another outing. Love From Paddington takes the form of a series of letters from the little brown bear to his Aunt Lucy in Darkest Peru. “It isn’t generally known, but bears are very good at writing letters,” Bond said. The book will be published by HarperCollins in November, shortly before the Paddington Bear film arrives in cinemas. 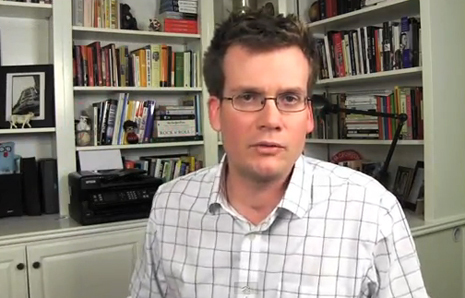 Author John Green — famous for The Fault In Our Stars and for making you laugh and then cry — has joined David Foster Wallace, Toni Morrison, and many others on the long list of Authors Giving Commencement Speeches with his address to Butler’s graduating class. Like theirs, Green is mostly warning the audience to not grow up and be terrible. It also comes with advice, such as: “Do not worry too much about your lawn.” And: “Keep reading. Specifically, read my books, ideally in hardcover.” The address is heartfelt and conversational, peppered with asides and references to the Internet — just like Green’s novels. Except this time: no deaths! 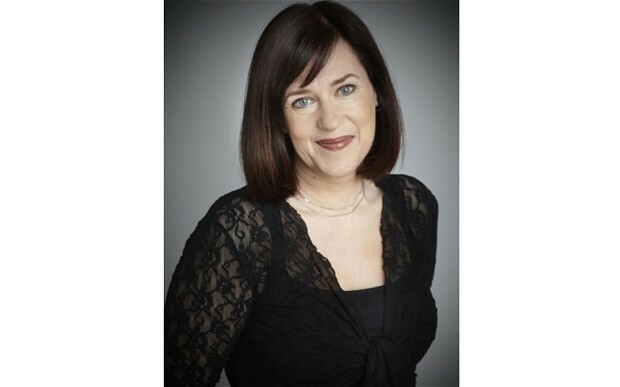 The children’s author chooses five Young Adult books that appeal to teenagers. It’s always hard to pick personal favourites and there are so many fantastic YA books out there at the moment, so I’ve restricted my choices to books published in the last few years and to titles that I believe have appeal to actual teenagers rather than to their parents and teachers. All these novels have strong stories with some kind of romantic element – my favourite kind of reads – and each one is properly compelling in its own very distinctive way. Stories can empower teenage readers and challenge their parents and teachers, says Melvin Burgess. Books fulfil many roles – they can be comforting, they can be distracting, they can take us places we’d never normally go. But my favourite books, generally speaking, are empowering books – books that give us a little bit more understanding about the world, and ourselves in particular. Such books for children are not always comfortable for adults. Bringing up kids is a long process of letting go, and it’s easier to keep them on the rails, by and large, where we know what’s going on. A charming cautionary tale about the perils of self-consciousness. Sylvia Plath — celebrated poet, little-known artist, lover of the world, repressed “addict of experience”, steamy romancer … and children’s book author? 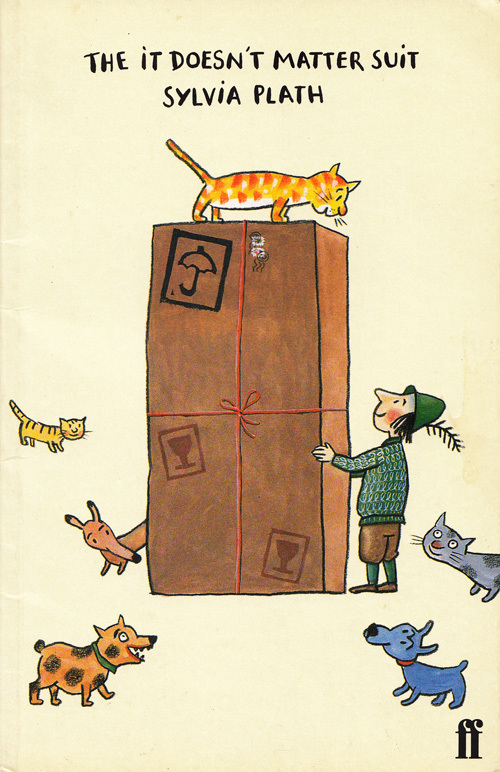 Given my soft spot for lesser-known vintage children’s books by famous literary icons, I was delighted to discover The It-Doesn’t-Matter Suit (public library) — a charming children’s story Plath penned shortly before having her first child. Though her journals indicate it was written on or immediately before September 26, 1959, it wasn’t until March of 1996 that the tale saw light of day with its first — and only — publication, featuring wonderful illustrations by German graphic designer and artist Rotraut Susanne Berner. 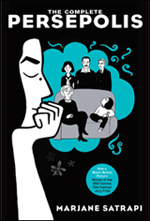 The controversy over the Chicago Public Schools restricting access to Persepolis, Marjane Satrapi’s memoir of her youth in Iran during the Islamic Revolution, continues to roil the nation’s third largest school district, as free speech advocates weigh in. Friday evening, the National Coalition Against Censorship joined together with five other organizations that advocate for freedom of expression and sent a letter to CPS CEO Barbara Byrd-Bennett and the CPS board of education, condemning last week’s order issued to school principals throughout the system to immediately pull Persepolis from their classrooms. The letter was re-sent Monday morning. Books under challenge cannot be pulled from CPS library shelves without undergoing a formal process. In her article about transgender teens in the magazine this week, Margaret Talbot quotes Annette Bening and Warren Beatty’s son Stephen calling himself, among other things, a “nerdfighter.” It might escape the average reader’s notice that this term is more than the sum of its parts. In the teen-age population, “nerdfighter” has a very specific meaning and etymology. Primarily, it identifies the teen-ager in question as a follower of John Green. Green is a former divinity student who dropped his plans to join the ordained ministry after a stint as a hospital chaplain. But you could say that, in his career as a young-adult novelist, he’s become another sort of evangelist. His “A Fault in Our Stars” débuted at No. 1 on the children’s best-seller lists about a year ago. It is about a love affair between two teen-aged cancer sufferers, and was drawn, in part, from his experience as a chaplain. Green has been writing about teen-agers who don’t quite fit in, albeit in less epidemiologically significant ways, for some time. His first novel, “Looking for Alaska,” in which a boarding-school student puzzles out what happened to his friend when she died in murky circumstances, showed a knack for the alienated-whip-smart-teen-ager genre. Some people might mutter something here about formula. But, for his readers, Green did what David Foster Wallace said good fiction did: he made them feel less alone. The book was not an instant best-seller when it appeared, in 2006, but it was something almost better: a cult hit. And, as such, it gave Green the beginnings of an online following. To those who despair of their teenagers tackling any kind of challenge, the news that many 13-year-olds are shunning difficult books in favour of those suitable for 10‑year-olds will have come as no surprise. Research published by Dundee University showing that rising numbers of pupils, including the brightest, choose books like Roald Dahl’s The Twits, suitable for seven-year-olds, may confirm many of our fears about dumbing down. Worst of all, having reached a decent level at the end of primary school, the failure to promote reading causes many to regress. The blame for this can be laid at several doors. Secondary school education can be so harrowing that wanting to return to the least demanding fiction is understandable – up to a point. More worrying is that at 13-plus many children gain access to the equivalent of crack cocaine in the form of computer gaming, whose visual sophistication and conceptual cleverness are no substitute for building a child’s own imagination, vocabulary and moral intelligence with a book. However, time-pressed, cash-strapped parents need to be more involved, too. 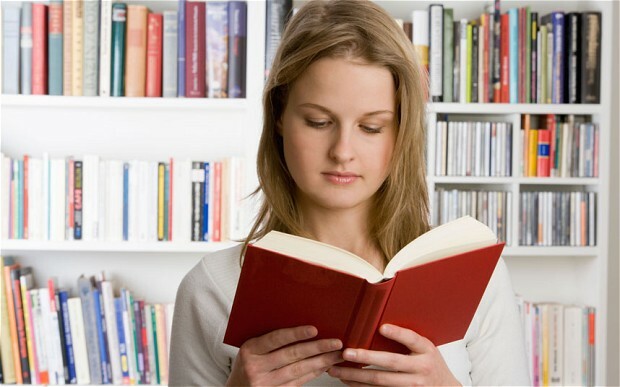 It’s not enough to have books in your house – you need to read yourself, widely and with enjoyment, to pass on the bug. Thursday’s event expects to reach more than half a million with star-studded event beamed to children around the globe. Over half a million children from all over the world will gather to watch authors including Francesca Simon, Anthony Horowitz, Lauren Child and Tony Robinson celebrate the joy of reading on Thursday’s World Book Day. 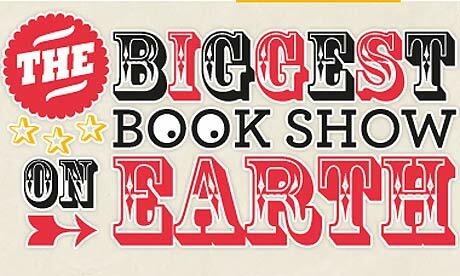 Dubbed the “Biggest Book Show on Earth”, the hour-long event will take place in Queen Elizabeth Hall in London at 11am on 7 March, and will be broadcast live to cinemas around the UK, as well as shown live online. Children’s author and television presenter Robinson will host the event, Horrid Henry creator Simon will show how to bring characters to life, and Alfie author Shirley Hughes will explain the secrets of illustration. “I’ll be talking about how to capture your ideas and plan your writing,” added Tom Gates author Liz Pichon, who will also be appearing on stage, along with Charlie & Lola creator Child and Cathy Cassidy. Last year half a million children from more than 75 countries watched the show, and organisers said that over 550,000 have already registered this year, with many thousands more expected to sign up by Thursday.